History of Jesus research papers discuss the complex history of Jesus' existence. Jesus Christ, as a religious leader, served one purpose during his lifetime. The History of Jesus, however, involves more the interpretation of Jesus by contemporary society. In other words, Jesus is often shaped to fit in with historical circumstances. 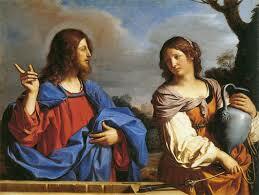 Most all scholars agree that Jesus of Nazareth, the person, existed. Yet the history of Jesus is far more complex than that. If a historical Jesus existed, it is more than likely that he was a sort of Jewish Rabbi. The Gospels, which report on his public career, were written several decades after his crucifixion, when a Christian community already existed. Therefore, by the end of the first century, the historical Jesus was becoming less Jewish, transforming into the Logos of John’s Gospel. In the Middle Ages, the image of Jesus as a perfect Monk emerged, as monasticism became an important and growing facet of the Western Church. Medieval monks saw themselves as living lives in imitation of Christ. In the 20th century, Liberation Theology appropriated the image of Jesus as the Liberator, challenging the social system of his day and promising a theological revolution. In some ways, the history of Jesus has come full circle in the 21st century, with growing claims that there was no historical Jesus at all, and that our main source of a historical Jesus, the Gospels, are unreliable. Jesus Christ and Ethics research papers report that throughout the New Testament, ethical codes that are overly concerned with proscribing specific actions are repeatedly scorned as being removed from genuine spirituality. Paper Masters writes custom research papers on History of Jesus and discuss the complex history of Jesus' existence.